What is the chemical equation for making stainless steel with chromium? Home » Stainless Steel Questions » What is the chemical equation for making stainless steel with chromium? I understand there's different stainless steels when steel is alloyed with different metals. But when steel is alloyed with chromium to make stainless steel, what is the equation? There is no formal equation for adding chromium to steel to make an alloy called stainless steel as it is not a chemical reaction. The composition of stainless steel first starts with Chromium. 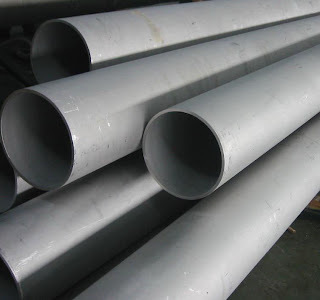 When steel is combined with 10.5% Chromium the resultant alloy is classified as "stainless steel". When Chromium is added to steel, its natural affinity for Oxygen creates a stable Oxide surface film. This protects the surface of the metal from further physical or chemical changes.